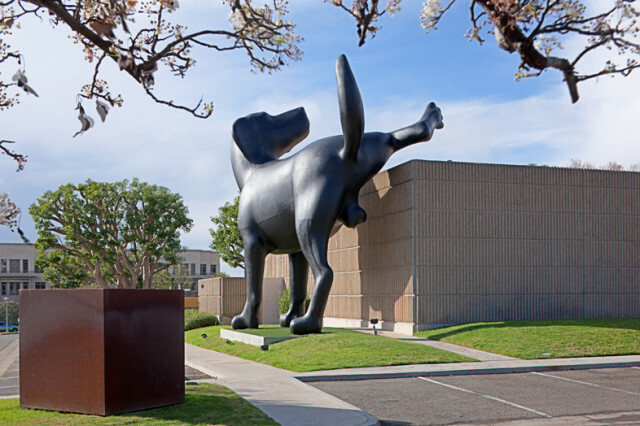 “Bad Dog” by Richard Jackson is a large-scale sculpture of a dog peeing on the Orange County Museum of Art. The sculpture is rigged to spray the side of the museum with yellow paint (see below). 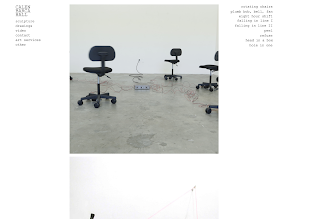 It is part of Richard Jackson: Ain’t Painting a Pain, a Jackson retrospective at OCMA, February 17 to May 5, 2013.